Liquid Krill® is a new Pautzke scent that is far different than any on the market. 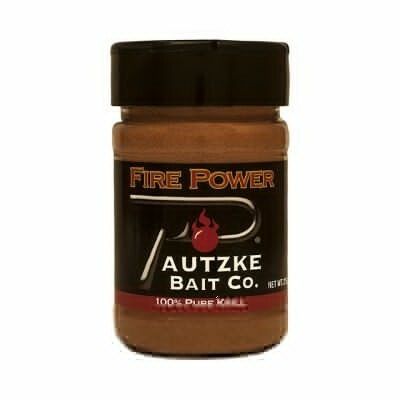 Pautzke employs no devious slogan here. Liquid Krill® is an all-natural scent that contains no chemicals or attractants that fish aren’t accustomed to in their native environment. Liquid Krill® is a heavily concentrated form of 100% krill shrimp that has been bottled in an easy to use and store plastic squeeze bottle. It is ideal for all species of fresh and saltwater fish and is the perfect tool for using on an array of baits to increase catch rates. If fishing for salmon, trout and steelhead, soaking roe and egg sacks in Liquid Krill® is ideal. It’s also productive to soak or inject night crawlers or dough baits for trout or livers, gizzards and mealworms for catfish. Anglers are advised to saturate their sturgeon baits allowing the Liquid Krill® to seep out. Liquid Krill® is also a deadly saltwater attractant. Ideal for injecting into baits for sharks, soaking in crab pots or any bait that sits on the bottom, using Liquid Krill® is a perfect way to put more fish in the boat.